Don Daniels is an Assistant Professor of Linguistics at the University of Oregon. He received his PhD from the University of California, Santa Barbara in 2015. His research focuses on endangered languages in Papua New Guinea, where he has been conducting fieldwork since 2006. He is interested in language change, both from a theoretical perspective (what kinds of changes are possible in language, and how can we account for them?) and from a methodological one (how can we reconstruct proto-languages?). His research also focuses on synchronic language documentation as well as morphosyntactic description, theory, and typology. 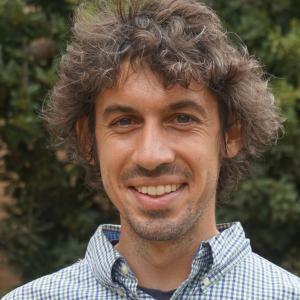 Because his research straddles both synchrony and diachrony, and because of his interest in morphosyntax, he is especially interested in theories that can “do it all”—that can accurately model language structure as well as change, and that are compatible with methods of comparative reconstruction. He works primarily with languages of the Madang branch of Trans New Guinea, and is currently involved in a long-term documentation project of the Sgi Bara (or Jilim) language.